While strategic analysts in India are debating the extent and consequences of the Chinese presence in Gilgit Baltistan (Pakistan occupied Kashmir – PoK), a legal battle is being waged across the Line of Control (LoC), which is relevant to India’s claim on PoK. A petition recently filed in the Supreme Court of Pakistan challenges the authority and jurisdiction of the Government of Pakistan on Gilgit Baltistan. The petition has been filed by Dr. Ghulam Abbas, a resident of Gilgit and chairman of the Gilgit Baltistan National Movement. The current crisis began after the appointment of a retired Judge, who is not a native of Gilgit Baltistan, as the Chief Justice of the Gilgit Baltistan Supreme Appellate Court. This was the second such instance where the local population had objected to the appointment of a judge to this position. The petitioner demanded that Article 60(5, 6) and 60(8) of the Self Governance Order be declared null and void. These specific clauses invest absolute authority in the Chairman of the Gilgit Baltistan Council, i.e. the Prime Minister of Pakistan, and virtually the Government of Pakistan, to make such appointments. The Supreme Court not only admitted the petition, but also in very clear terms asked the Attorney General whether it was possible for the President of Pakistan (under Article 248 of the Pakistani constitution) to issue such political orders for Gilgit Baltistan. To this the Attorney General replied that since Gilgit Baltistan does not have a direct representation in the federal government, the President issued the order on behalf of the government. Gilgit Baltistan (till 2009 it was referred to as the Northern Areas by the Government of Pakistan) does not find mention in the Constitution of Pakistan and it is neither independent nor has a provincial status. This huge territory, part of the erstwhile princely state of Jammu and Kashmir, has been under Pakistan’s control since 1947. It is currently governed by the Gilgit-Baltistan Empowerment and Self-Governance Order introduced by the Pakistan government in August 2009. The package was introduced mainly to assuage the prevailing feeling of neglect among the people of the region, and made nominal changes in the political system such as restoring the original nomenclature of Gilgit Baltistan, which was one of the long standing demands of the local population. Currently, the region has an elected assembly and a council headed by the Prime Minister of Pakistan. This council wields all the powers and controls the resources and revenue accrued from the region. Added to this, the government of the region is under the overall control of the federal ministry of the Kashmir Affairs and Gilgit Baltistan (KAGB). It was in this context that the petition was filed and the Supreme Court bench asked the federal government and the Ministry of KAGB to provide a report on the political status of Gilgit Baltistan within a period of 15 days. The petition has unleashed an animated debate in the political circles in Gilgit Baltistan. The issue dominated the proceedings of the region’s Legislative Assembly in the following days. Legislators articulated their views by putting forward two viable options: either the Gilgit-Baltistan Empowerment and Self-Governance Order be given some kind of a legal cover, or the region be given the status of the so-called AJK (Azad Jammu & Kashmir) which is ruled under a separate constitution. Some expressed their apprehension that the Empowerment and Self-Governance package order was provisional, and until it is legalised it may be repealed anytime to suit the whims and fancies of successive governments in Islamabad. Some went to the extent of calling Gilgit Baltistan a fake province with no constitutional endorsement. A basic point which emerged from the discussion was that till the time Gilgit Baltistan remains ‘disputed’, it cannot be assimilated as an additional province of Pakistan. The Law Minster of Gilgit Baltistan, Wazir Shakil, tried to downplay the whole issue by stating that since the order was a presidential order, it could not be abolished. The Chief Minister, Syed Mehdi Shah, however tried to build consensus by urging political allies to insist upon the federal leadership to take up the matter in Islamabad’s parliament pursuing permanent status for Gilgit Baltistan. This political deadlock is not a case in isolation. The people of Gilgit Baltistan are disillusioned with the way Pakistan is administering the region and the local leadership has rejected the political set-up provided under the empowerment package. This order, they feel, has failed to meet their political demands and address the socio economic problems. Earlier, the State Subject Rule was abolished by former Prime Minister Zulfiqar Ali Bhutto to facilitate outsiders acquiring land and assets in the region. Later, the ethnic composition of the region was tampered with by the Zia-ul-Haq-sponsored anti-Shia forces; the number of Shias in this otherwise predominantly Shia region was reduced drastically. The attack on Shia pilgrims in Kohistan on February 28, 2012, while they were on their way back to Gilgit Baltistan, is a pointer to the continuing threats the Shias face even today. In this particular case, at least 16 people were forced to disembark from the bus and were brutally shot to death. Political problems in Gilgit Baltistan have existed for long, and today the situation is further complicated by growing external interference from China and innumerable instances of resource-drain organised by Islamabad. People in Gilgit Baltistan have expressed their resentment over the increasing Chinese involvement in the region and view it as an unwelcome intrusion. The Gilgit Baltistan diaspora has, in recent years, played an active role in creating awareness on these issues via the electronic media, dedicated websites and blogs, etc. What appears to be of interest here is the claim by the people of Gilgit Baltistan that the region does not belong to Pakistan. If Pakistan concedes that Gilgit Baltistan is a disputed territory, it will have to give it a separate status like AJK. This is the moot point emerging from the ensuing political debate in the entire PoK. This is in congruence with an earlier statement issued by Pakistan’s Ministry of Foreign Affairs (MOFA) terming the territory as “disputed” in response to the Indian Ministry of External Affairs of India statement objecting to the building of the Diamer Bhasha dam in PoK in 2006. India has for long being insisting that Chinese involvement in Gilgit Baltistan is unwarranted since the territory is disputed, to which the Chinese (encouraged by Pakistan) pay little heed. Hence, the current debate in PoK, in a way, validates India’s position and claim on PoK. A fresh debate in India needs to be initiated from this point. India’s position that Gilgit Baltistan is disputed stands corroborated by developments in PoK. 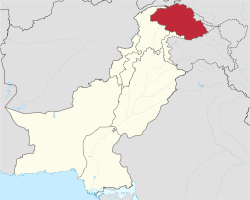 Gilgit Baltistan and the so called AJK are parts of the Indian state of Jammu & Kashmir. After a span of more than six decades since the princely state of J&K acceded to India, this Indian state has evolved with its political processes progressing well. This is so because India has allowed political freedom in J&K. In comparison, Pakistan has failed to address the aspirations of the people under subjugation in PoK leading to frequent political outbursts as being witnessed now. These outbursts are only likely to grow given Pakistan’s indifference towards PoK as a whole in combination with its internal security dynamics and external preoccupations.